I've been absent for more than a week! Eeek! Yesterday was TL's 31st Birthday... can't believe it's already passed, seems like it was just yesterday that I threw this big surprise 30th for him. I can't believe a whole year has passed. I love him so much, and we celebrated this year with family! Playing cards with the skeleton. The founder of our organization, Jen... one of my good friends, too! 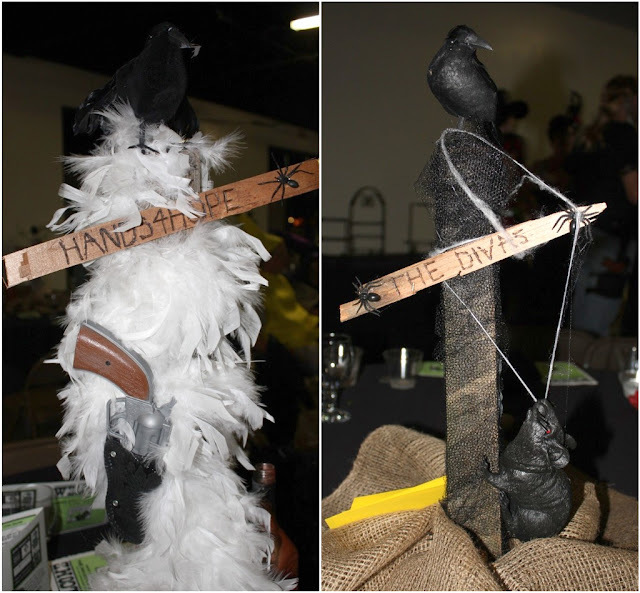 The table centerpieces... "the Divas" table was my girlfriends table. My sister and bro in law... so cute! My MIL, Cindy, and mama! On their way to the ball! Hope you are having a fabulous week... can you believe November is just around the corner!?! great pics! what a fun evening! Oh my! What fun! 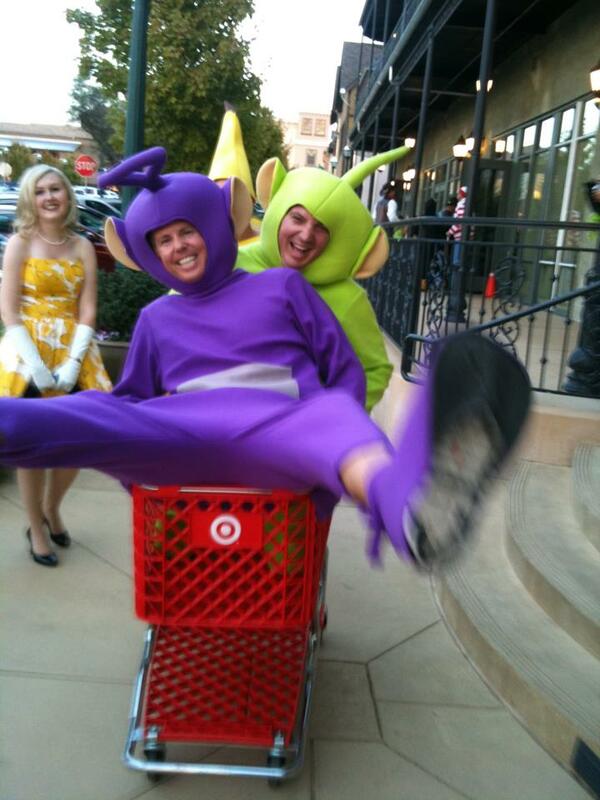 Love TL's costume... LOL and Poppa Mike ROFL! Haha! 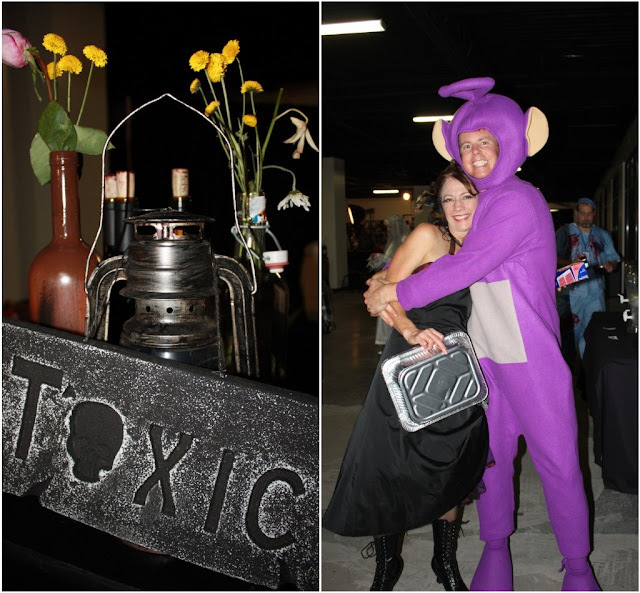 Your costumes are great- I definitely laughed out loud :) Looks like a super fun time! Looks like fun. Not sure how long you have had it, but I love your haircut! oh my gosh it really does feel like yesterday was his 30th! Haha, awesome photos! Looks like you had such a fun time! dyyyying over the shopping cart photo. omg - hilarious! I love the costumes, they so cool. This post makes me want to have a costume party. OMIHOSH! 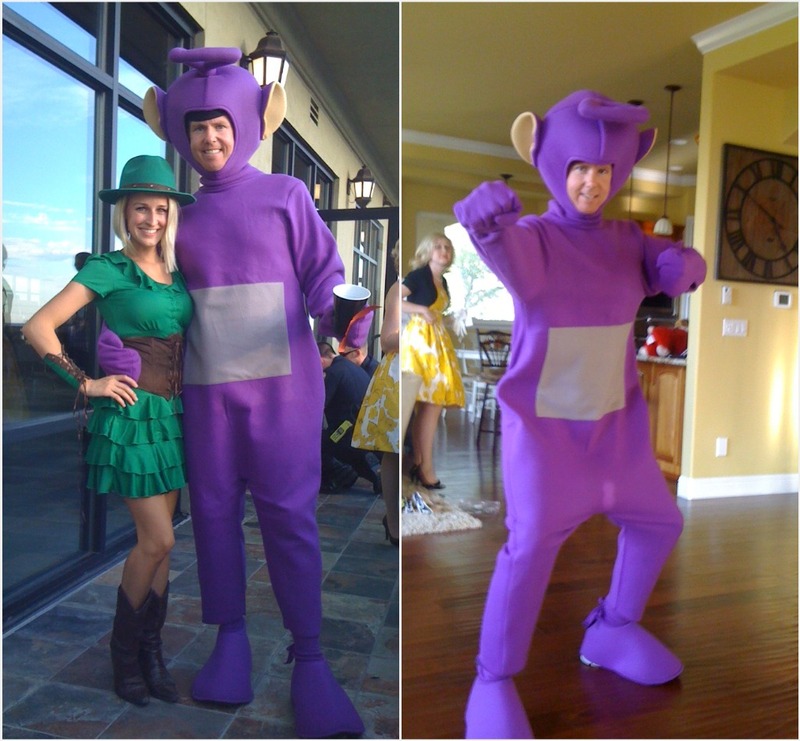 Tinky Winky!!!!!!!!! Amazing! Looks like a super fun event! Happy belated to TL! :) And um.. the teletubby.. fantastic.. haha! It looks like it was a blast!! Glad it was such a success! Ha ha TL is cracking me up and you look so adorable in your outfit Tracy! Looks like a fun event.